challenge was totally applique. 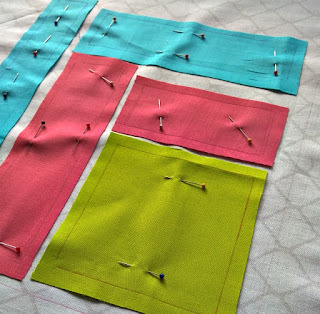 But after reading through Sarah Fielke's "Favorite Pieced Blocks as Inspiration for Applique," I was not only intrigued, but interested enough to start in on a plan. I had just randomly purchased some Kona Punch, and just for fun, decided to build my project around that. The green and aqua were unidentified stash finds, and of course the background is from Latifah Saafir's Grafic. As much as I whine about applique, it's not that I haven't done it. In fact I've made at least two large quilts in days gone by that were completely applique. But seriously, it's been years.... and for some strange reason, as much as I used to enjoy that kind of slow stitching, these days I'm inclined to sew much faster. But that wasn't the assignment here, now was it? Applique was the name of the game, and I started in with the method I'd used years ago - drawing shapes on my fabric, cutting a rough 1/4" around them, then pinning to my background with short pins, with the intention of folding under along those lines as I stitched. But I'd seen daughter dear do something different when she appliqued, and in conferring with her, was reminded to reference Carolyn Friedlander's Savor Each Stitch: Studio Quilting with Mindful Design, and there Carolyn suggested machine basting 1/4" from the edge of each shape, and then turning under 1/8" as you stitched. Similar but different and to me, new-fangled and worth a try. Since I'd already marked and trimmed my shapes though, my measurements weren't quite like Carolyn's this time, but I tried the general method at least. I chose to remove my basting as I sewed on each shape, and without those little pins, the whole piece was very comfortable in my hand as I sewed. The finished piece is 17" square, just like my other Mighty Lucky challenge projects. A slightly askew quarter log cabin block, with logs separated somewhat, I quilted it with an equally wonky quarter-log cabin design. Super cute quilt. Love it! This is awesome! Bravo! The concept is quite intriguing. 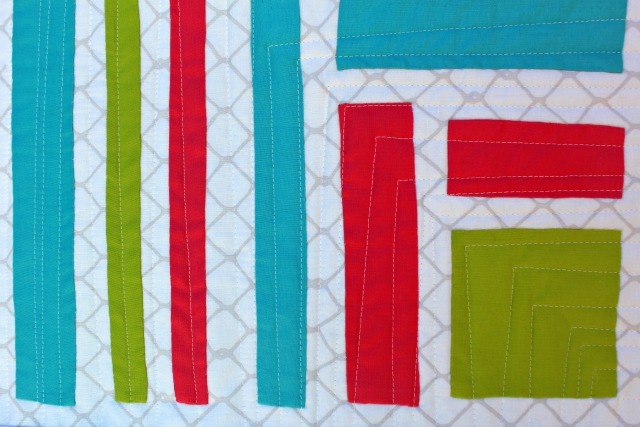 I love your rationale for the quilting. I'm impressed with your motivation to learn (or relearn) things. It's always a good way to discover new techniques that can lead to new ideas. I love the lack of precision. 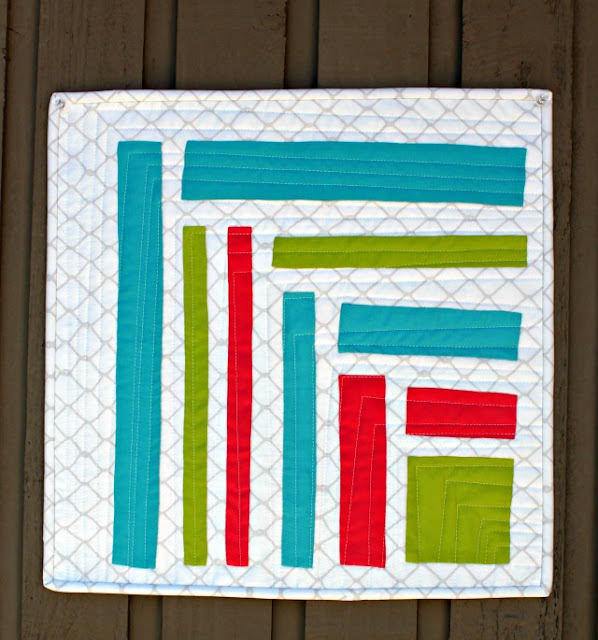 It is a wonderful piece and the wonky quilting is perfect. Lovely and liked how you showed process. I have done a few bits of different applique. 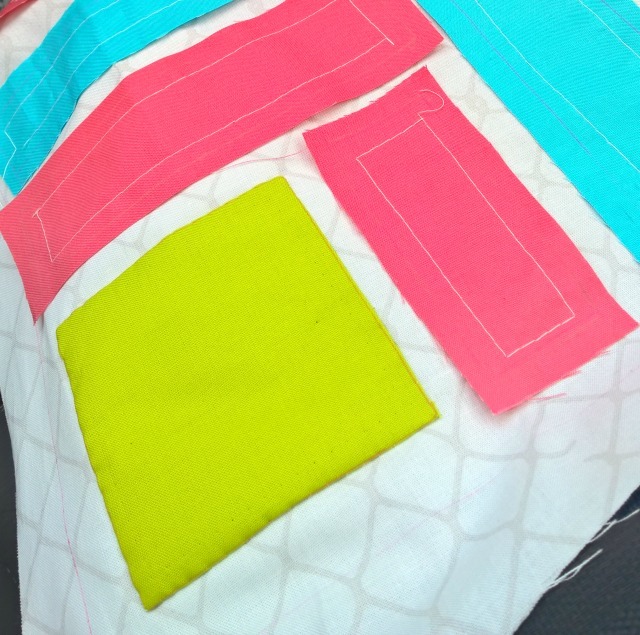 Most recently the old sew onto fusible interfacing and turn (they were balloon shapes) and fuse then stitch by machine. Still it had a satisfaction to it from doing something different than my norm. I haven't heard of this method, but it does sound like an interesting method to try. Although I would probably get lazy and call it done once the pieces were machine stitched on. Nice design. I don't do a lot of appliqué, and certainly not by hand! Thanks for share all the links. I really like the idea of basting the pieces, such a great idea. 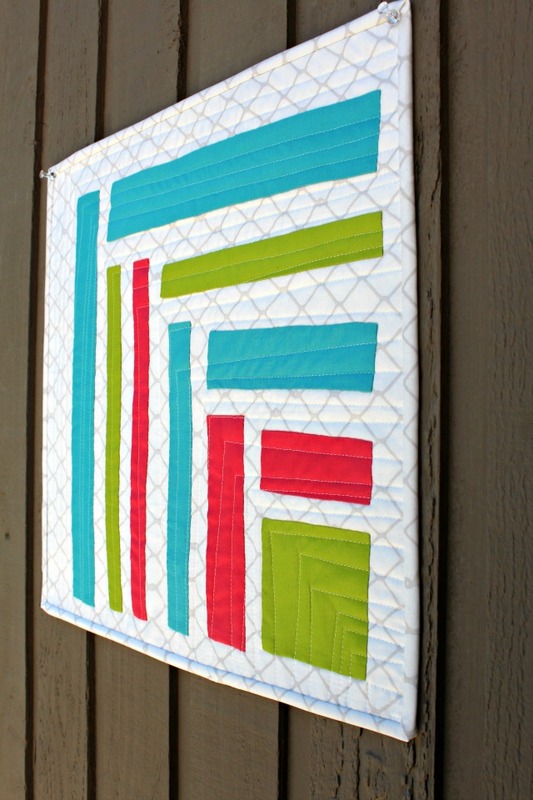 And your quilt turned out gorgeous!